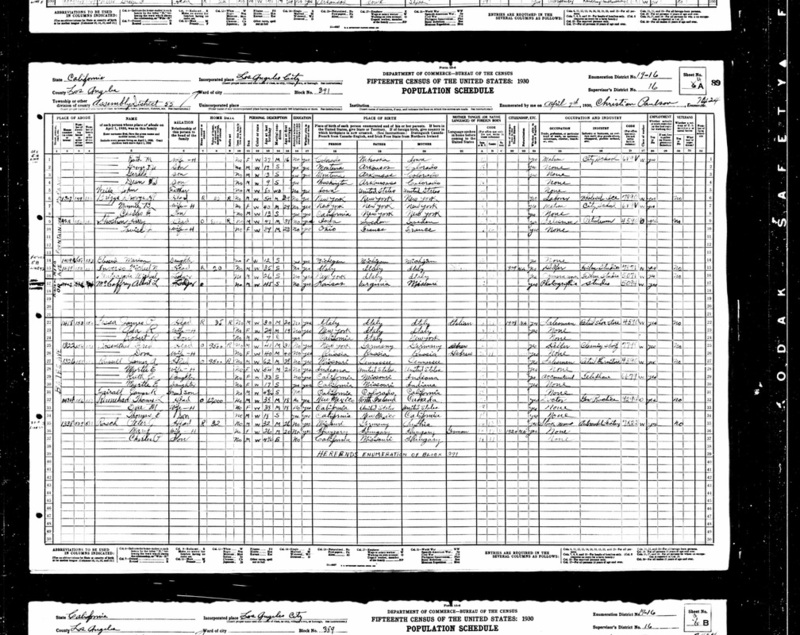 “New York Passenger Lists, 1820-1957,” Ancestry.com (Online: Ancestry.com, 2012), subscription database, Peter Rasch arrived 25 Oct 1909, <http://www.ancestry.com>, accessed September 2012. 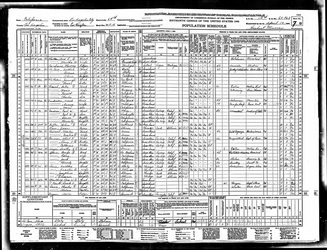 1910 U.S. Federal Census (Population Schedule), St Louis Ward 8, St Louis County, Missouri, ED 132, Sheet 15A, Dwelling 38, Family 318, Otto Rasch household, .jpeg image (Online: Ancestry.com, 2012) [Digital scan of original records in the National Archives, Washington, D.C.], subscription database, <http://www.ancestry.com>, accessed September 2012. 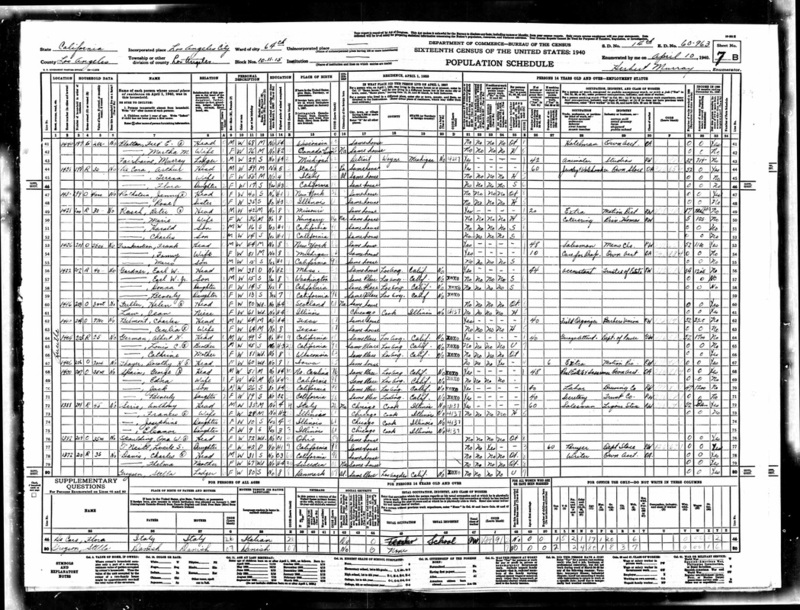 1930 U.S. Federal Census (Population Schedule), Los Angeles, Los Angeles County, California, ED 16, Sheet 4A, Dwelling 529, Family 533, Peter J Rasch household, .jpeg image (Online: Ancestry.com, 2012) [Digital scan of original records in the National Archives, Washington, D.C.], subscription database, <http://www.ancestry.com>, accessed September 2012. 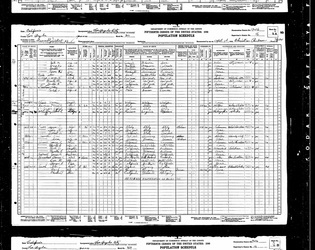 1940 U.S. Federal Census (Population Schedule), Los Angeles, Los Angeles County, California, ED 60-963, Sheet 7B, Dwelling 1428, Peter Rasch household, .jpeg image (Online: Ancestry.com, 2012) [Digital scan of original records in the National Archives, Washington, D.C.], subscription database, <http://www.ancestry.com>, accessed September 2012. “California Death Index, 1940-1997,” Ancestry.com (Online: Ancestry.com, 2012), subscription database, Peter J Rasch died 28 Mar 1963, <http://www.ancestry.com>, accessed September 2012. U.S. Social Security Administration, “Social Security Death Index,” Ancestry.com (Online: Ancestry.com, 2012), subscription database, Peter Rasch, 563-12-1817, died Mar 1963, <http://www.ancestry.com>, accessed September 2012.